Prevent debris, food particles and even tiny fish from entering and clogging your VorTech MP20/40w pump. 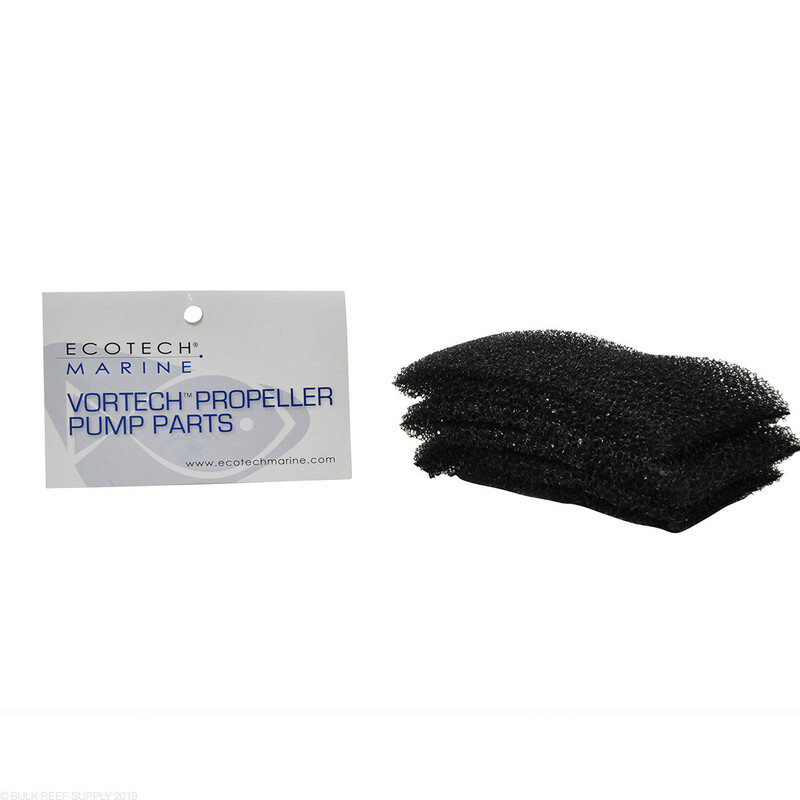 Pack of three foam covers for VorTech MP20w and MP40w wet sides. I raise Bubble Anemones and was initially running my circulaters without guards . Bubbles occasionally wonder the tank , exploring new locations . On one night exploration , I lost a Rose anemone to being sucked into my Vortech . Since than I have never used the pump without a foam guard and have not lost another Rose . 2 things, first, it's a foam gaurd, made of... foam. So it's pretty straight forward. But it slips off eventually so what I would like to see is some little plastic hook like protrusions on the wet side so you can hook it in and not have to put rubber bands around it to keep it in place either from water current or from fish picking at it. Second, I mainly only use this to keep snails out of my pump, but they could prevent this by making the front wetside gaurd with smaller openings. But oh well the quite version is out and it has none of this. You gotta have extras! If you own a Vortech always keep a few guards because they fit and are worth the headache of always having these handy! I used one for about a week and it started sliding off the powerhead. Also it was filled with a ton of detritus which all came off when I tried to adjust it or remove it. I still have two more so I'll see how they go now that my messy puffer was given away. A piece of foam that fits well over the pump. The only downside I see is that it acts as a filter and picks up debris. But the trade-off is that it protects your animals from getting shredded, so its worth it. Keeps my anemones from commuting suicide. They work great and last a long time. No complaints and the price is right! Perfect fit and last through many washes. These are great and I get 10 reuses out of them. Great protection for your ornamental shrimp from getting in the pump. Added an anemone. Added these foam guards. Slipped right on. Case closed! Works as is should! Use these on all my MP pumps to make them RBTA proof! You make a Audi R8 class pump and then put a dodge dart cover on it? Ripped after one use, total waist of money! What is ID of these? I would like to try them on a different pump brand. The foam is designed for use and shape of the MP40. The inside diameter changes from 3" to 2 3/4" Feel free to let us know if you have any further questions!